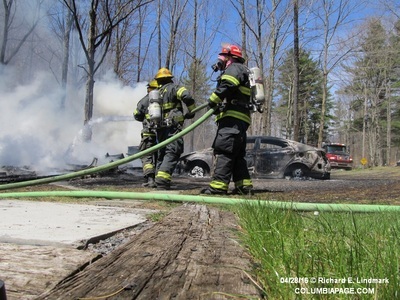 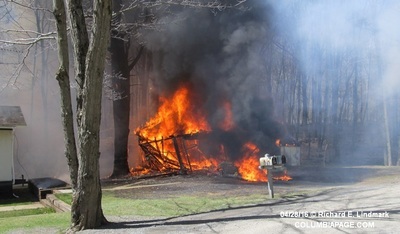 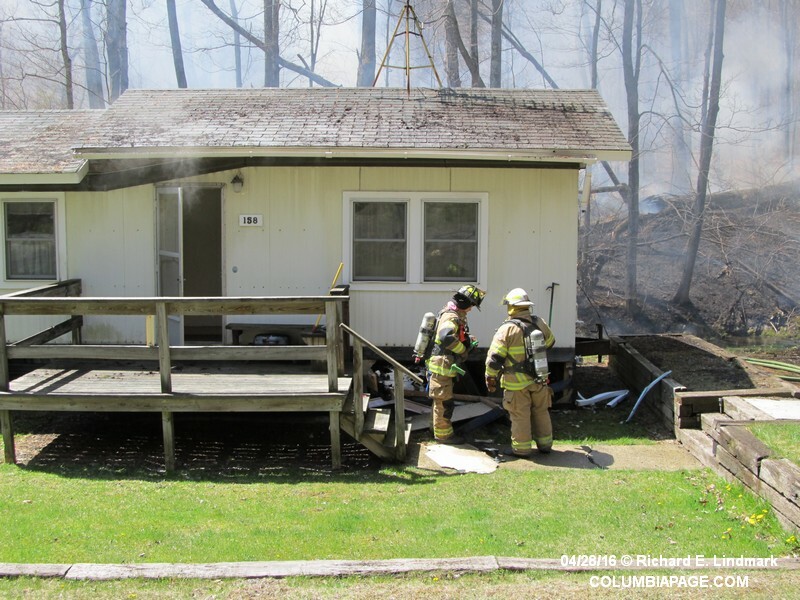 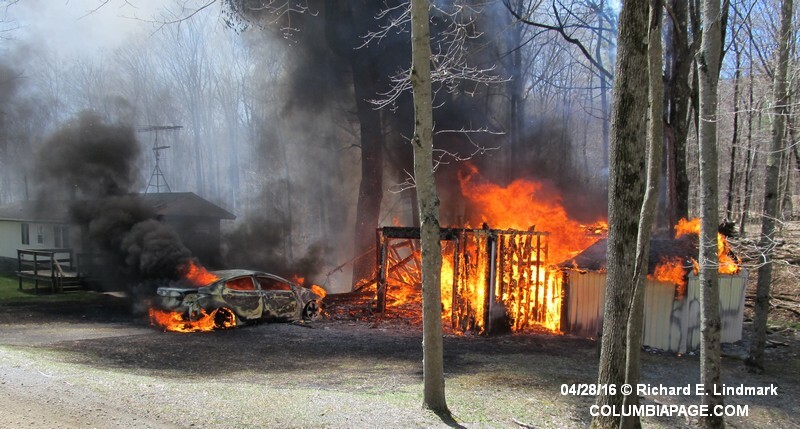 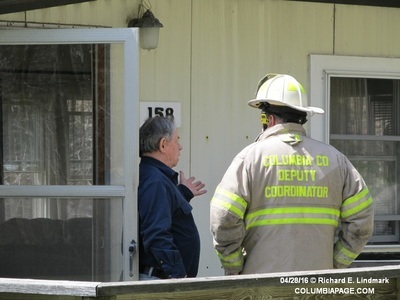 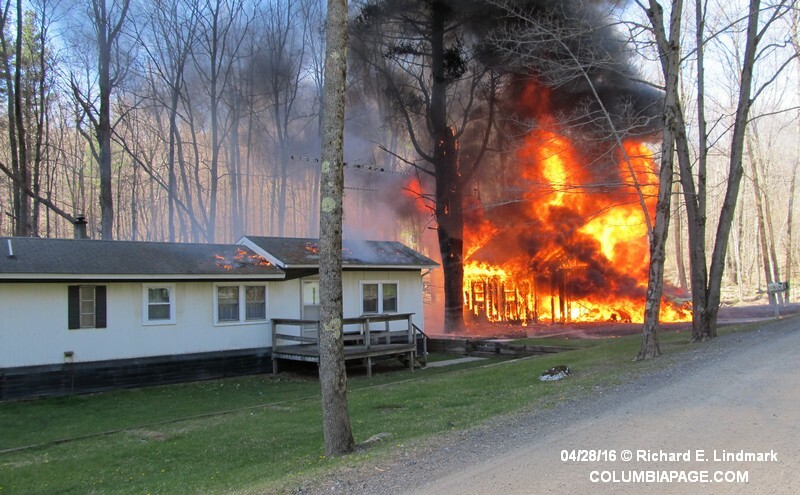 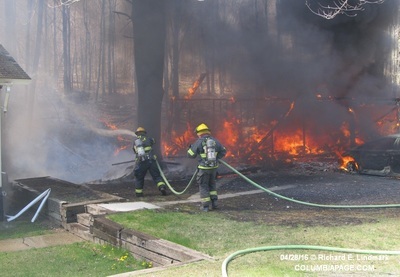 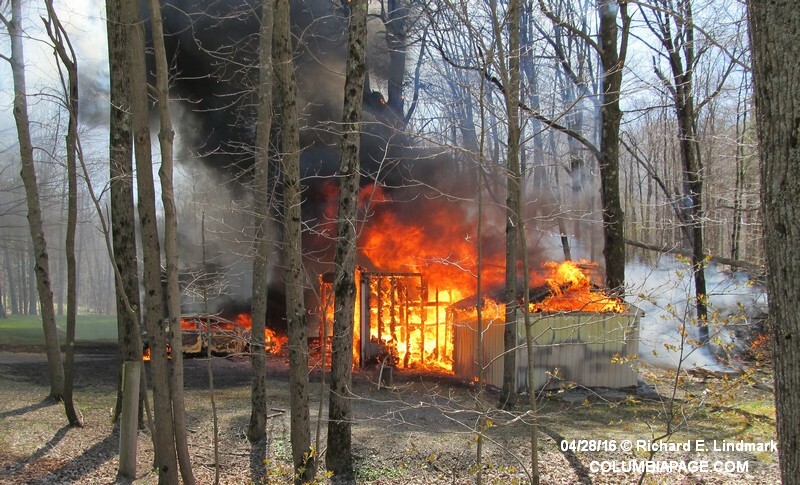 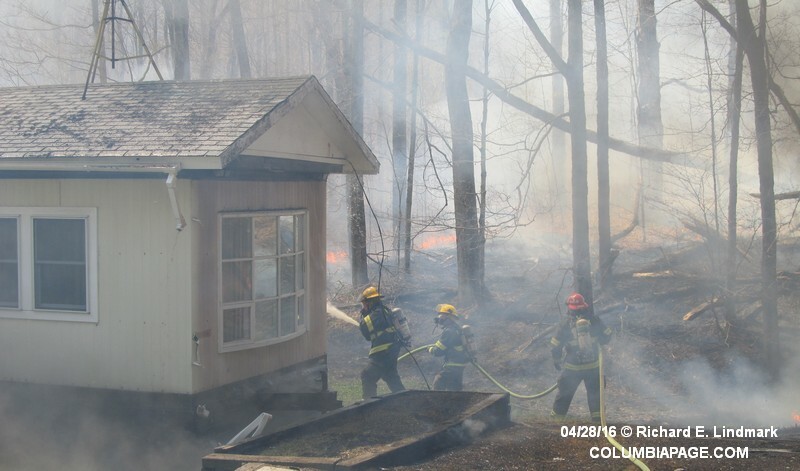 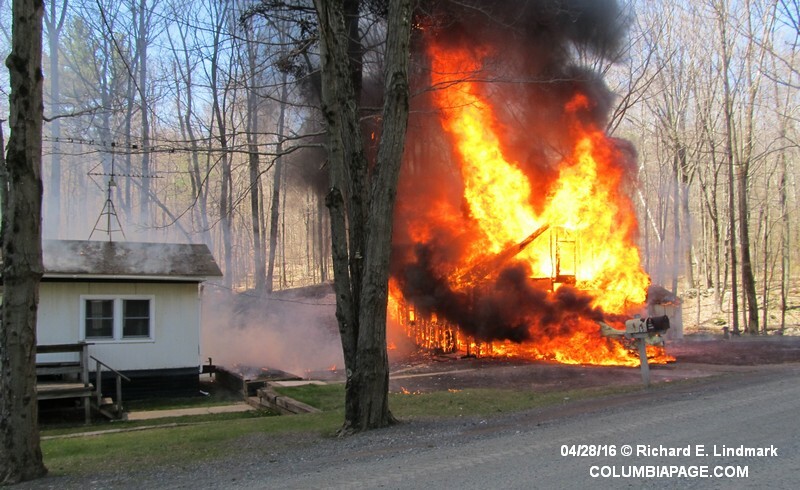 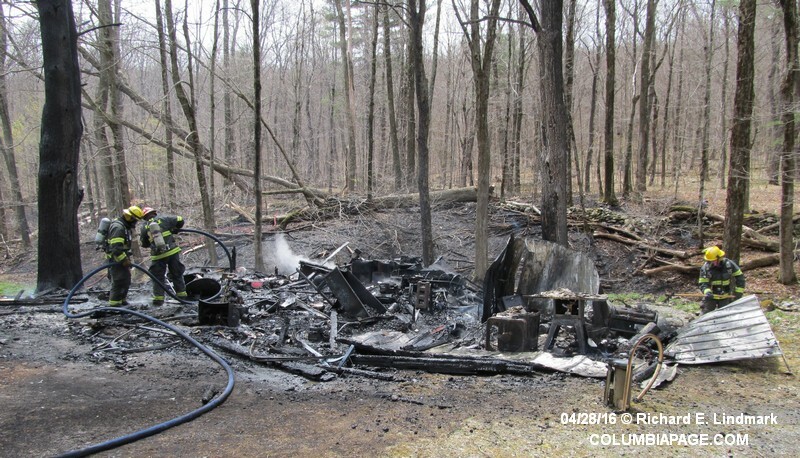 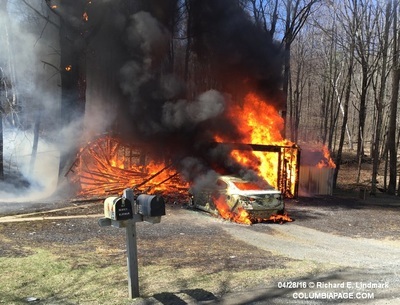 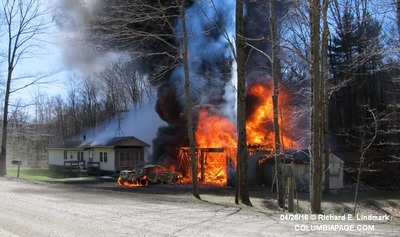 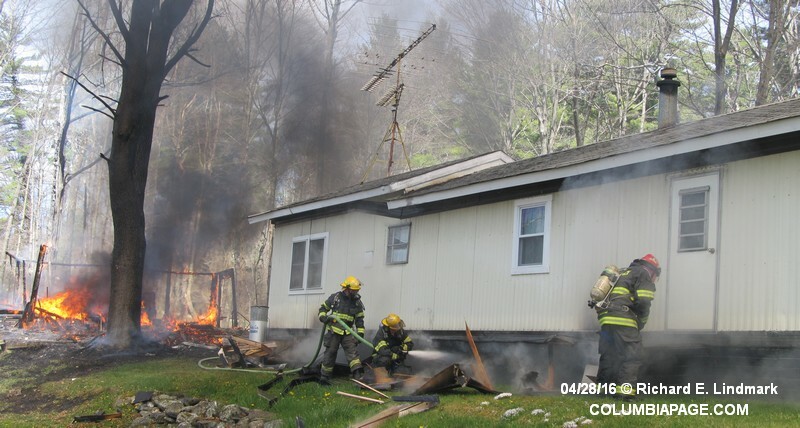 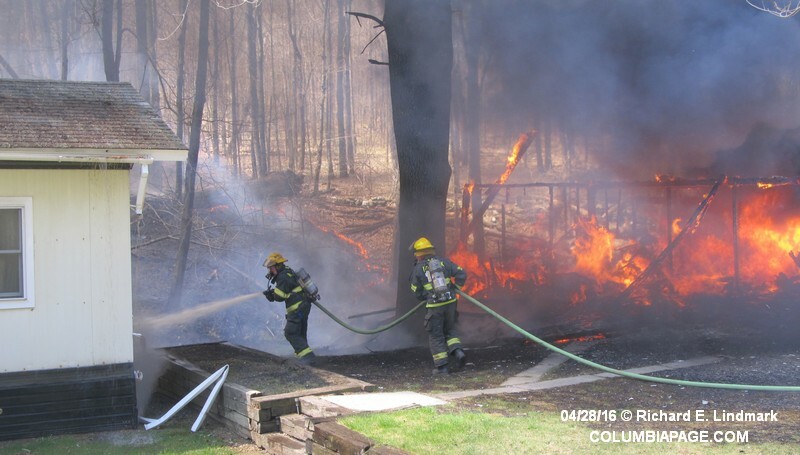 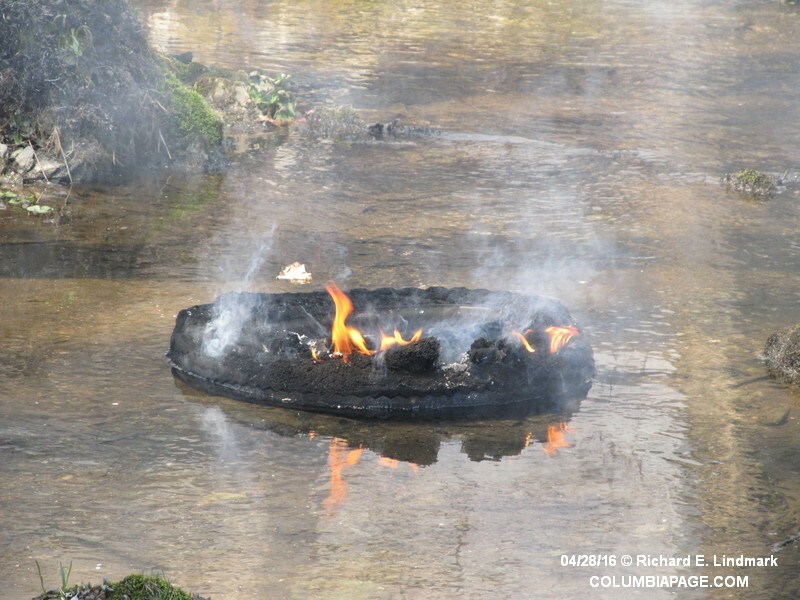 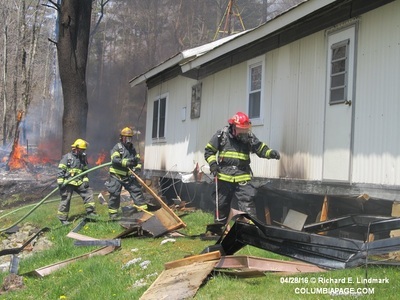 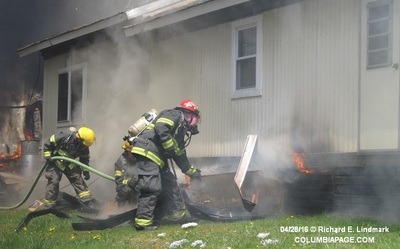 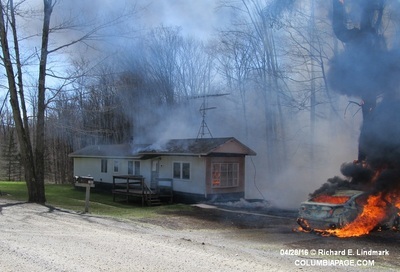 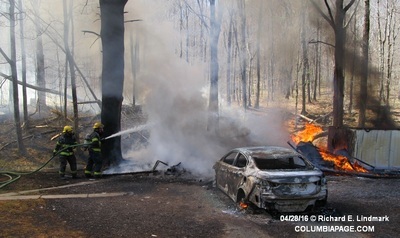 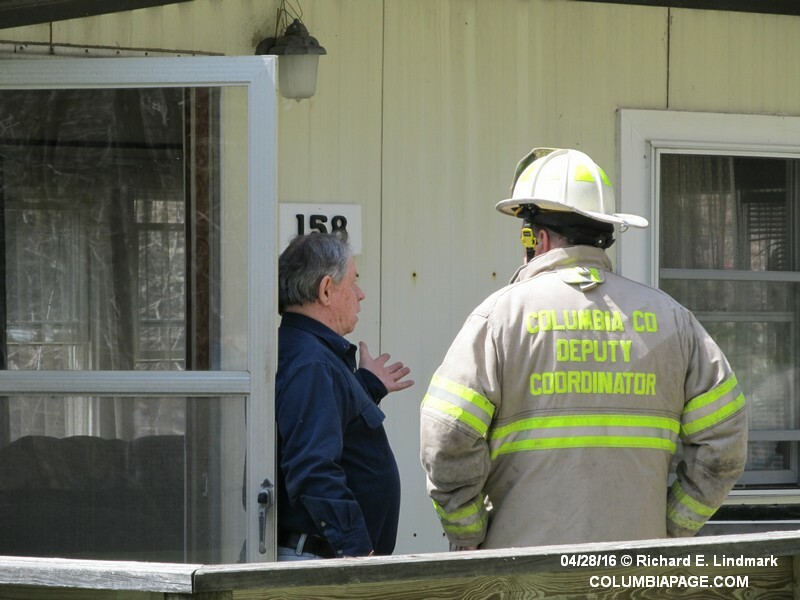 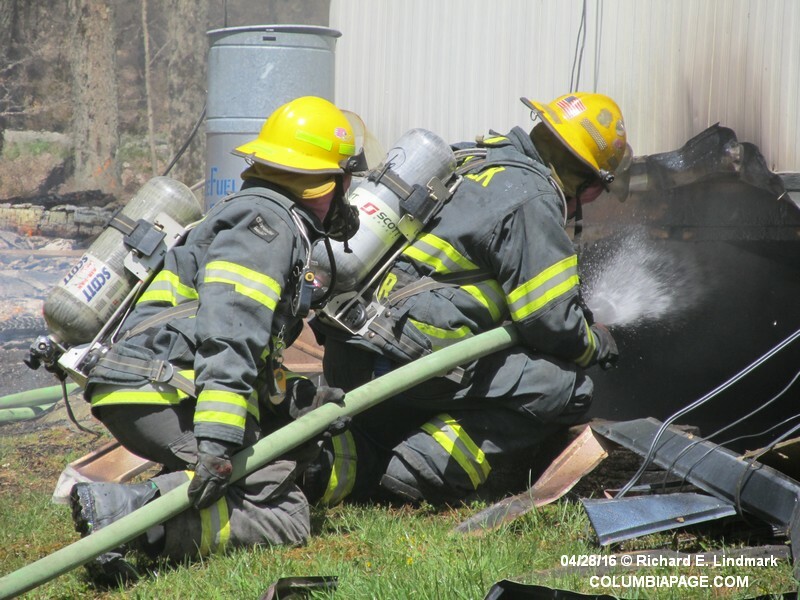 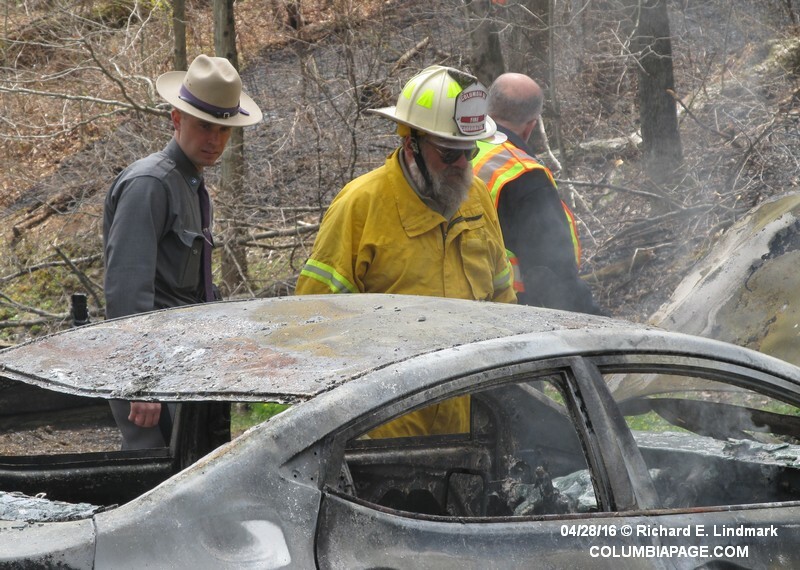 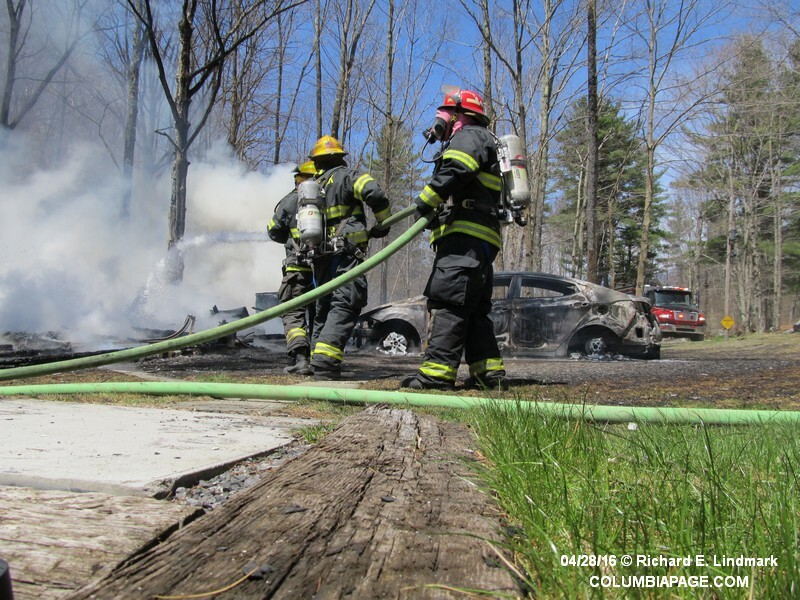 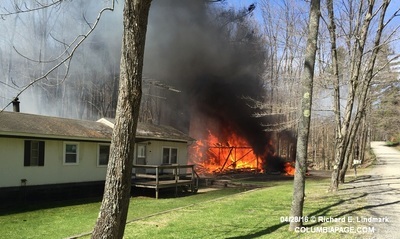 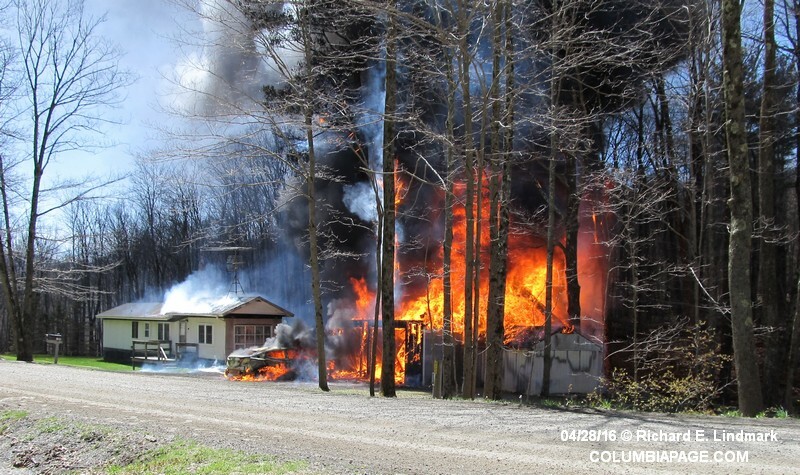 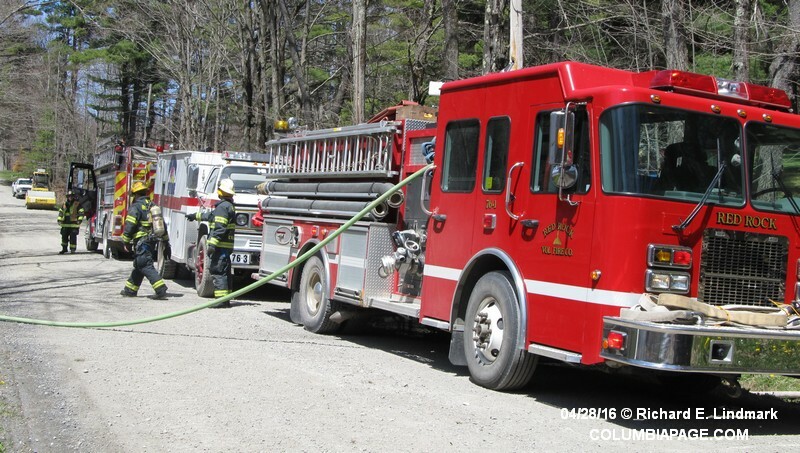 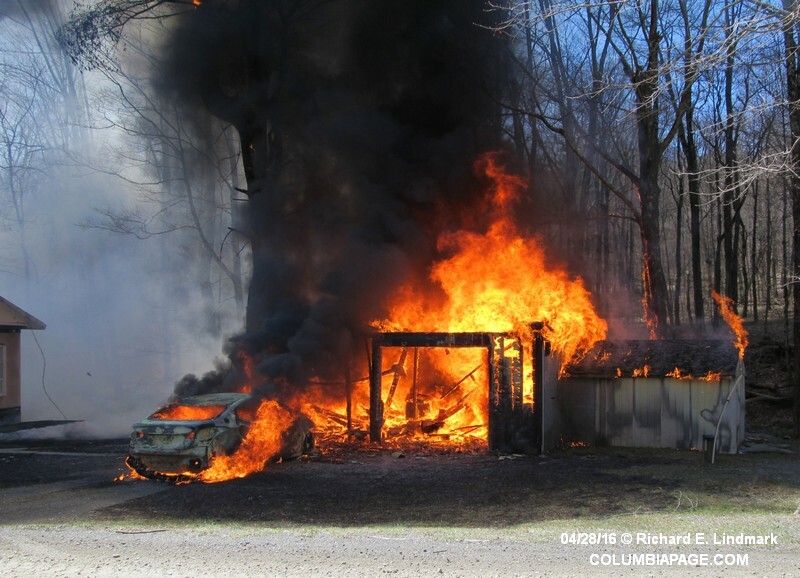 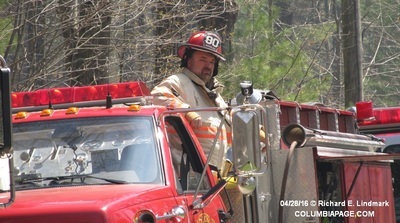 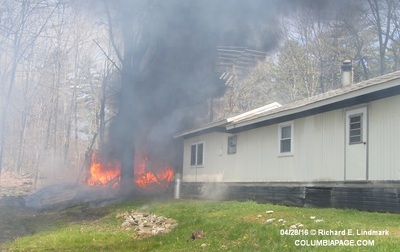 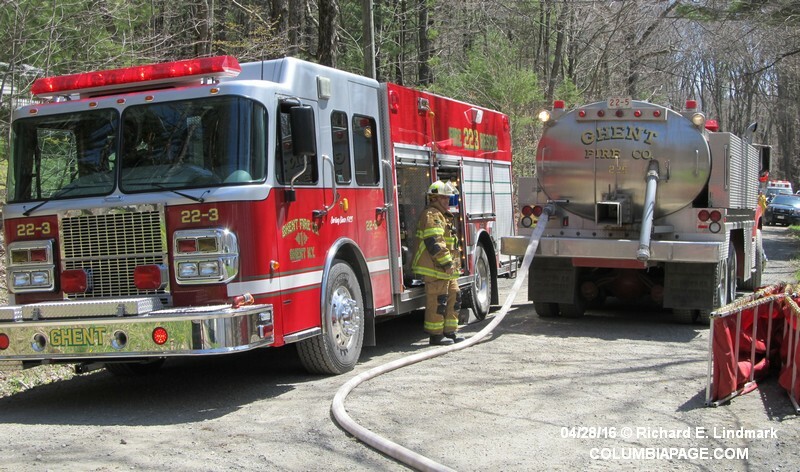 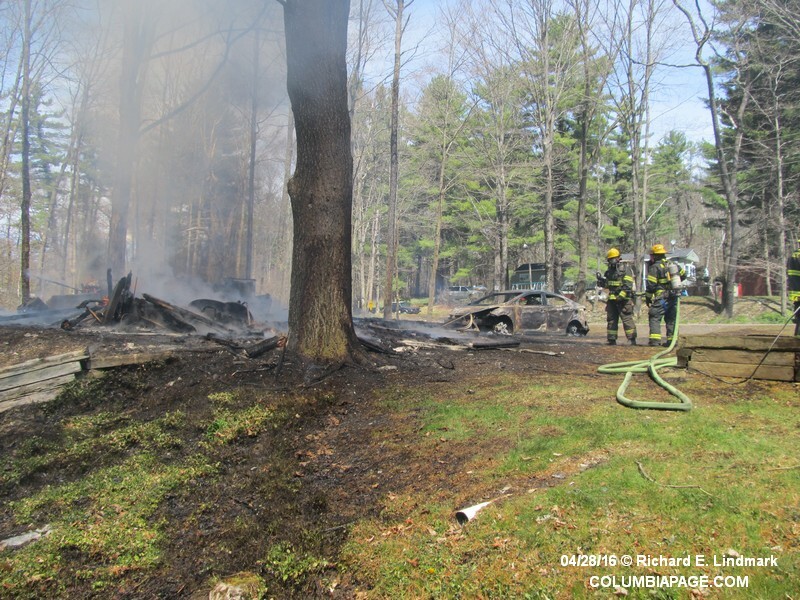 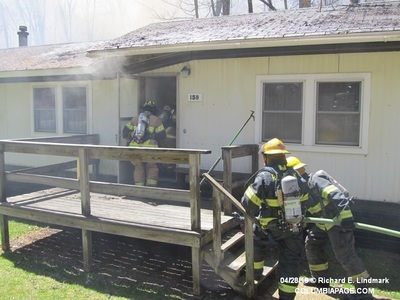 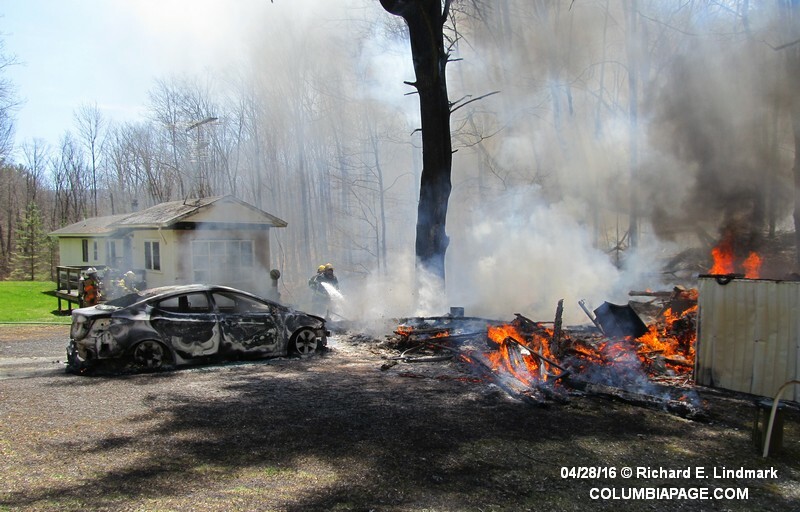 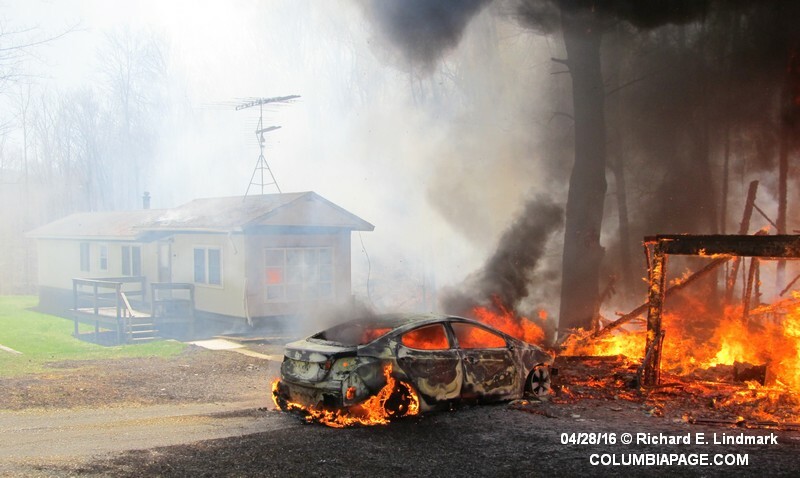 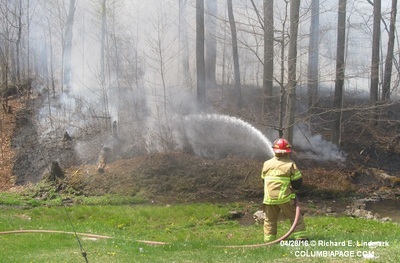 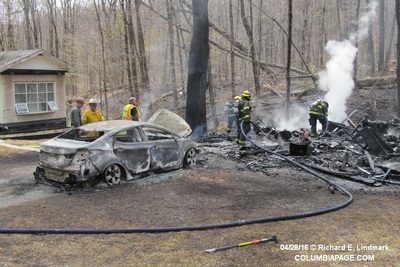 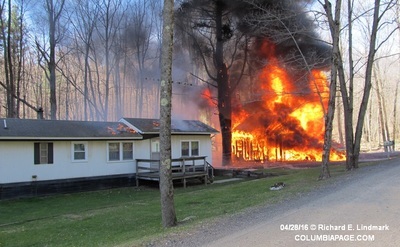 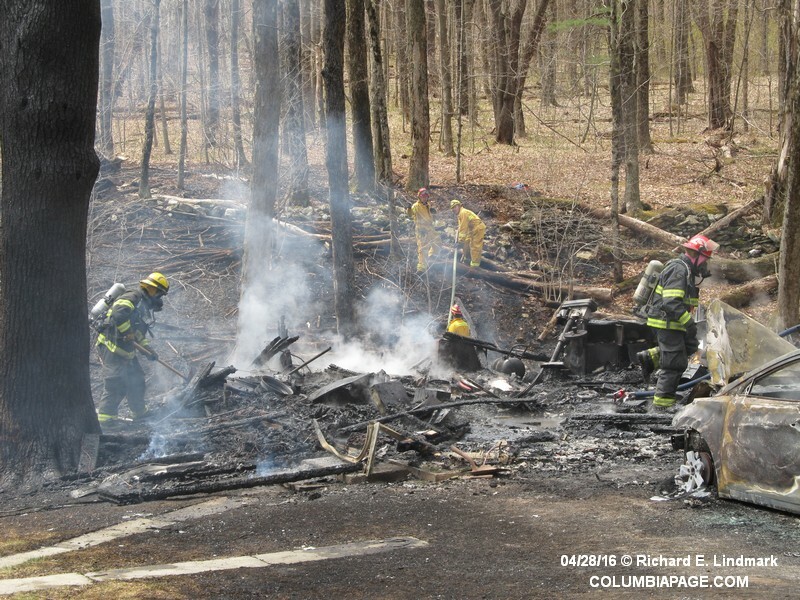 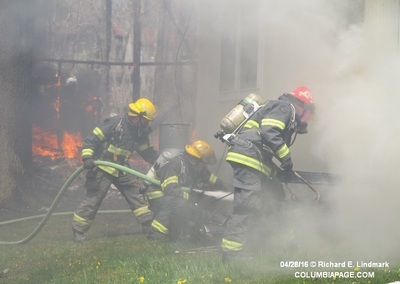 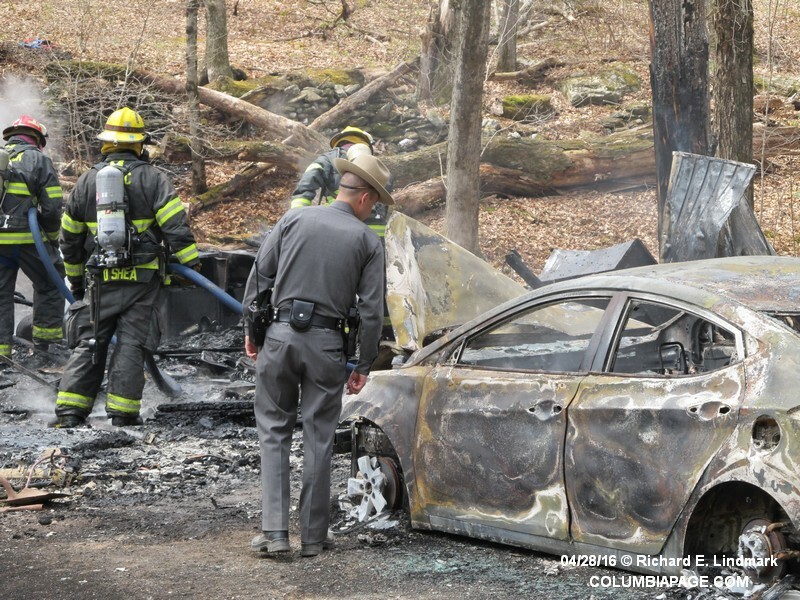 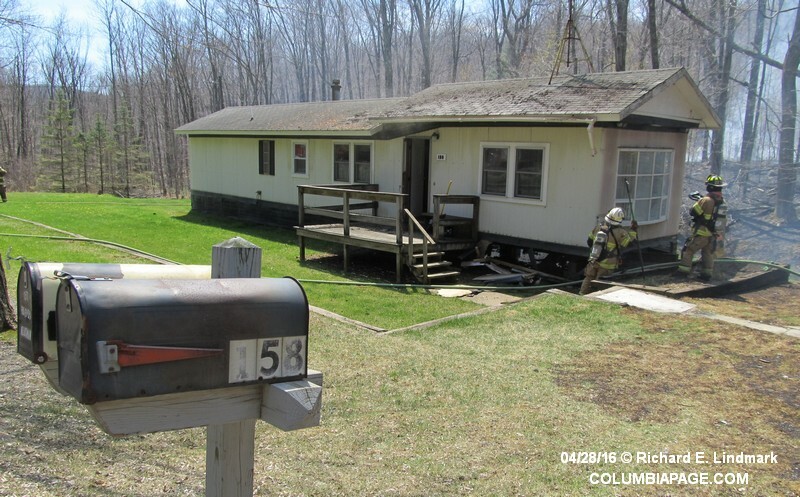 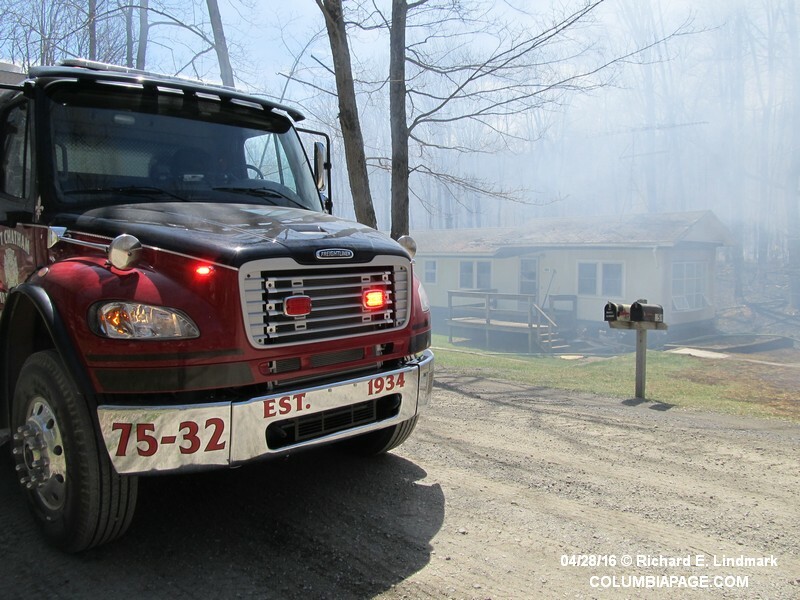 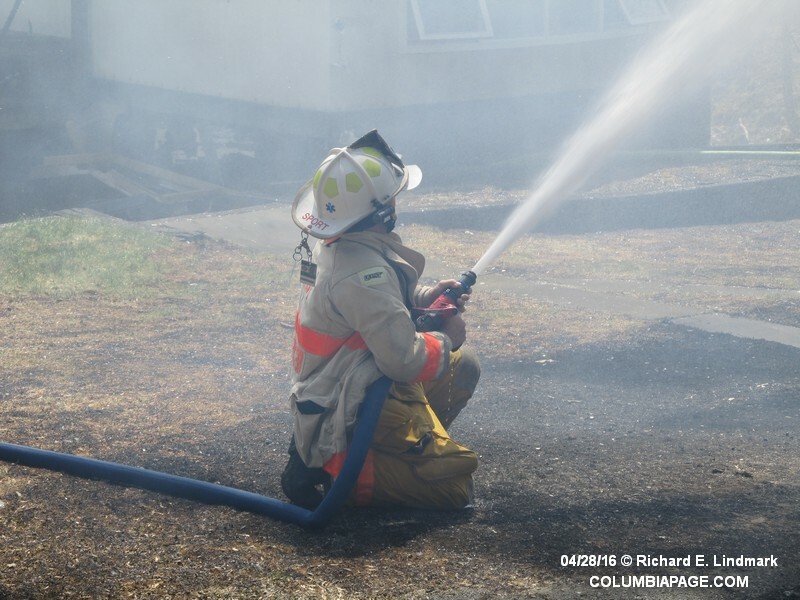 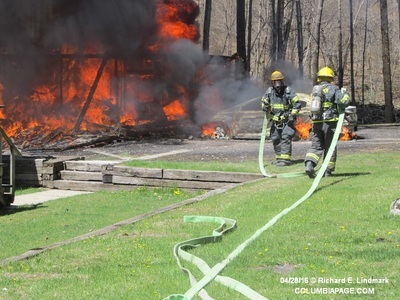 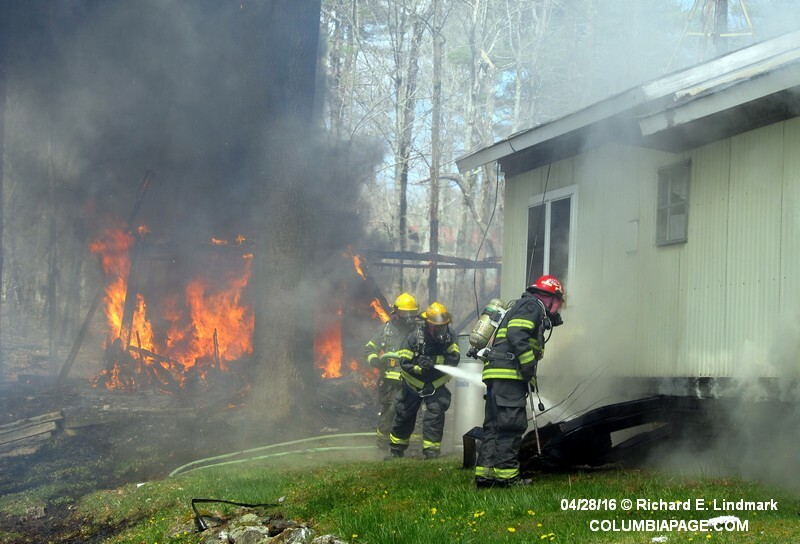 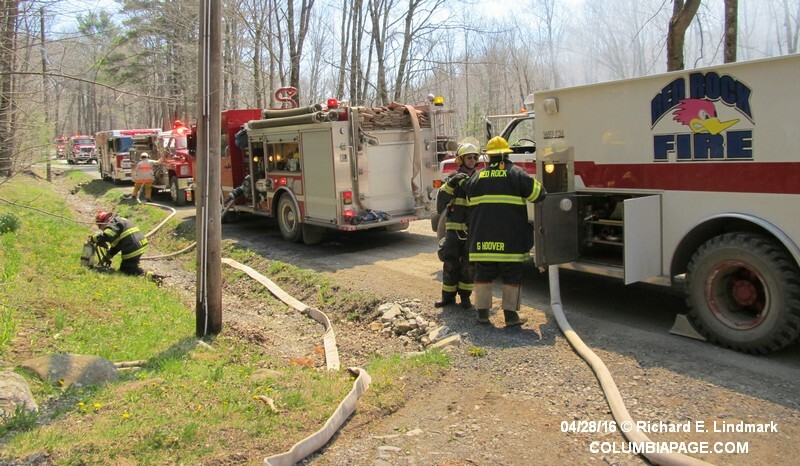 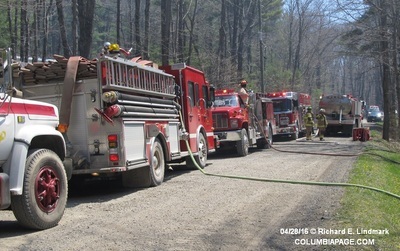 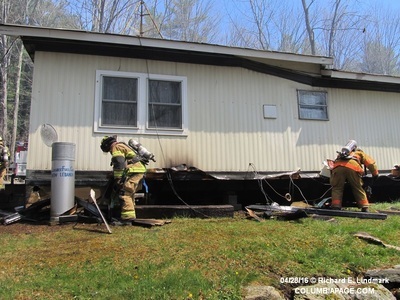 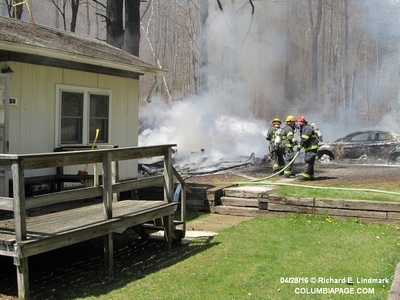 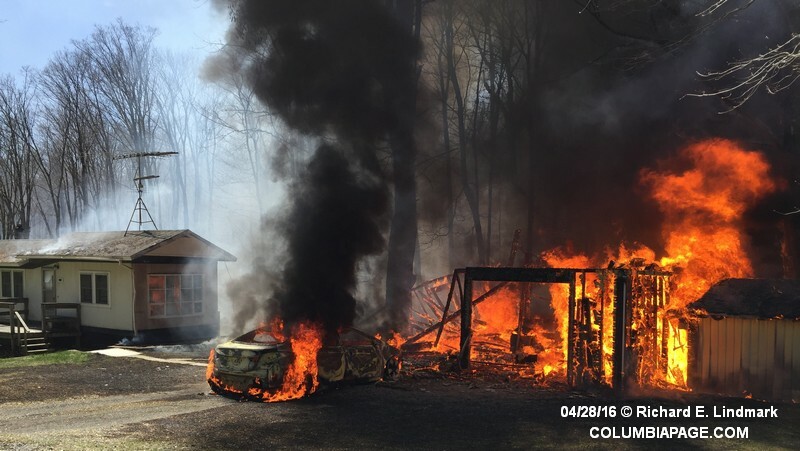 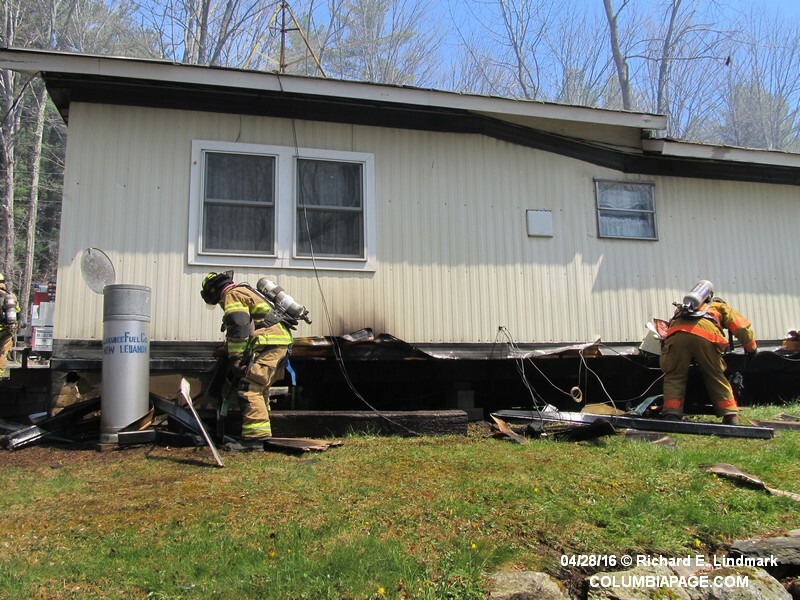 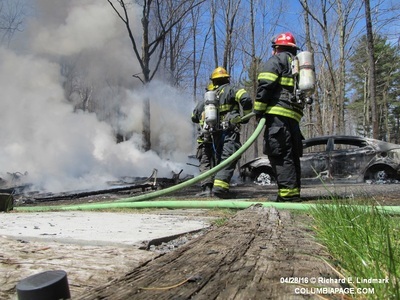 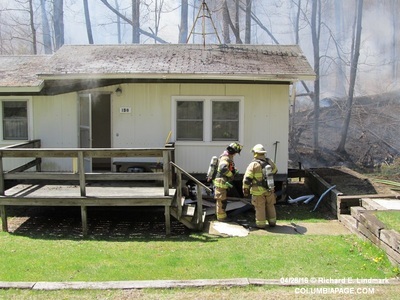 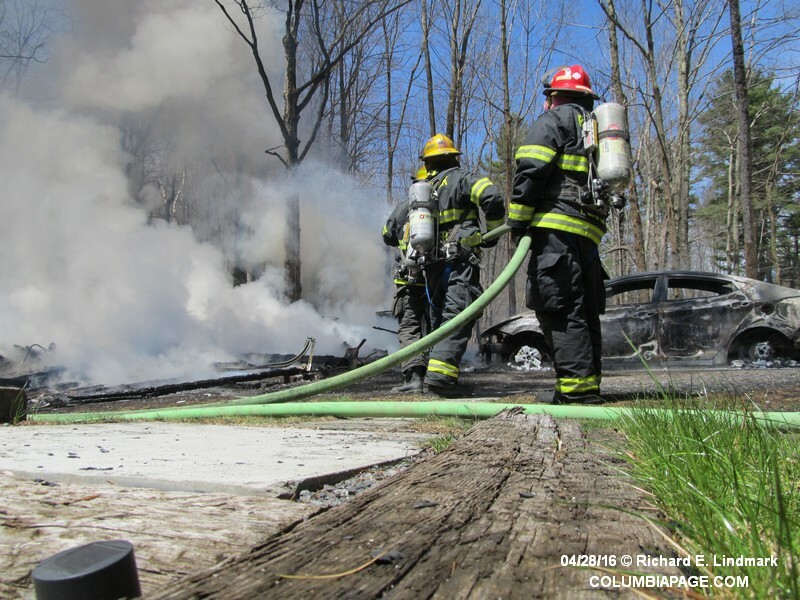 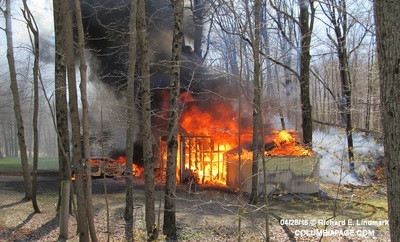 Columbia County 911 dispatched the Austerlitz Fire District and Chatham Rescue at 11:38am for a reported car and garage fire at 158 Middle Road in the Town of Austerlitz. 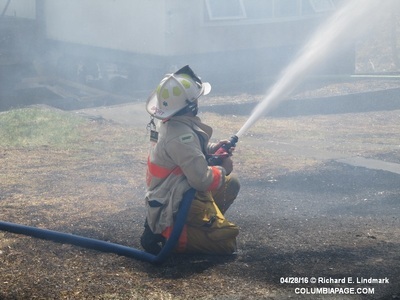 Under automatic mutual aid Ghent and Niverville with their F.A.S.T. 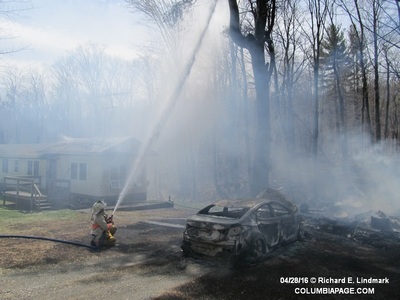 Team were also dispatched. Command then requested additional mutual aid from East Chatham, Red Rock, Canaan and Lebanon Valley. 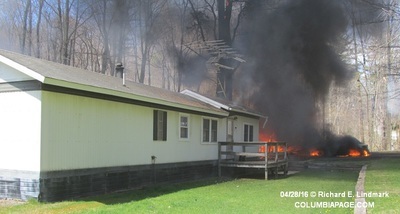 New York State Electric and Gas was requested to the scene. 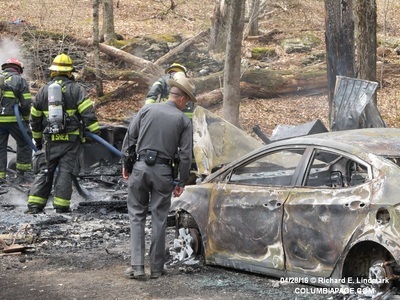 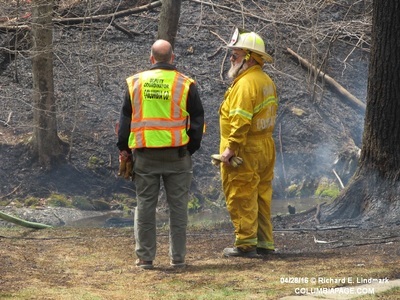 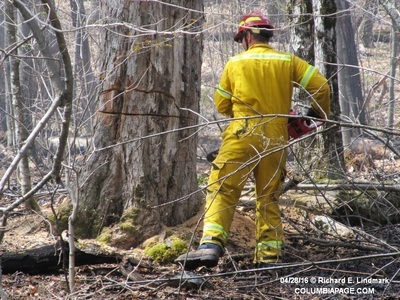 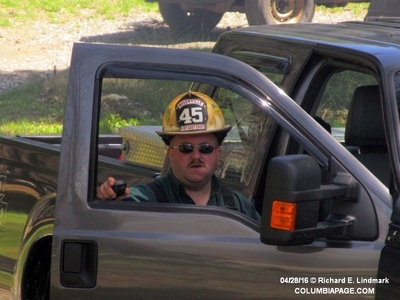 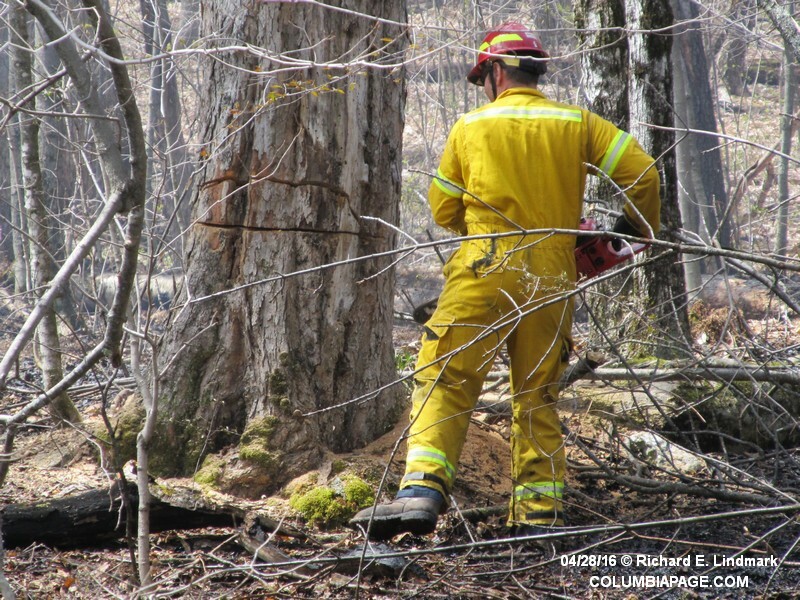 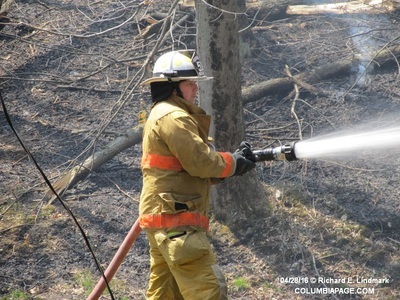 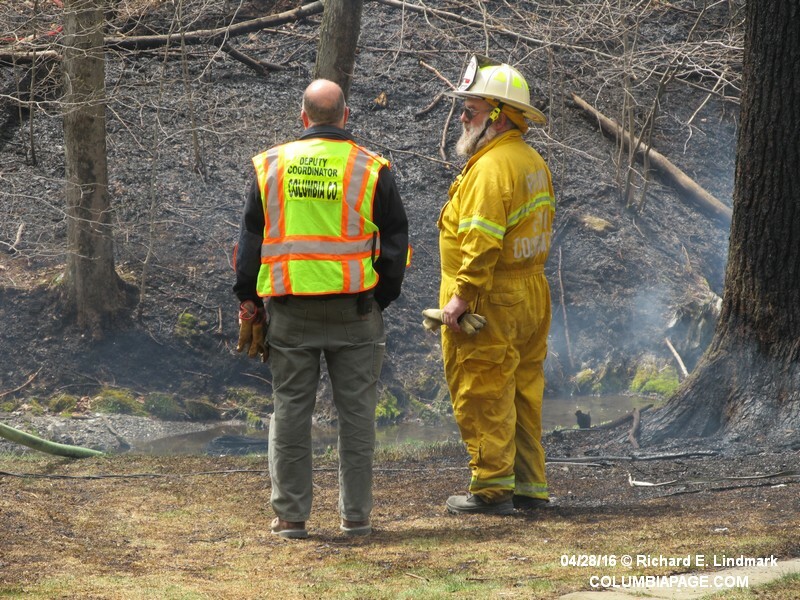 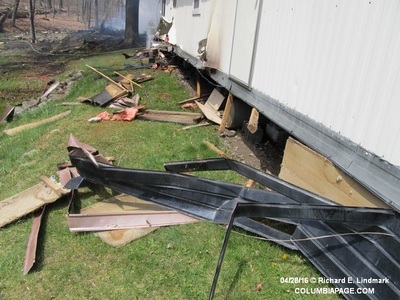 The New York State Police and Columbia County Fire Coordinators Office were on the scene. 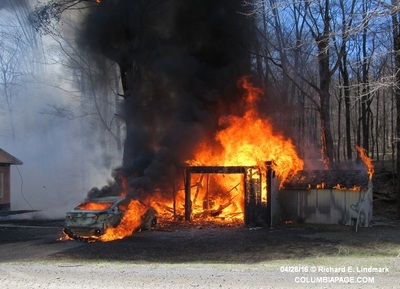 Command reported that a car fire first started and then extended to the garage and a shed. 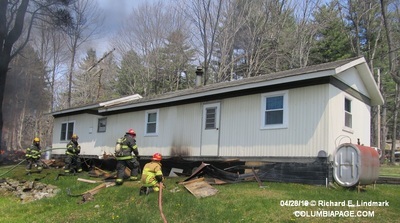 The fire then spread to the roof and skirting of a nearby mobile home. The mobile home was saved. 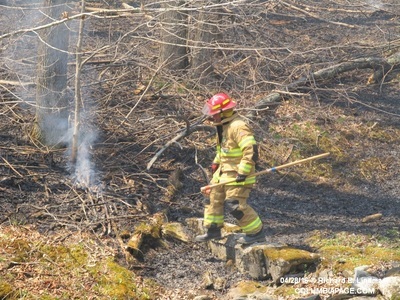 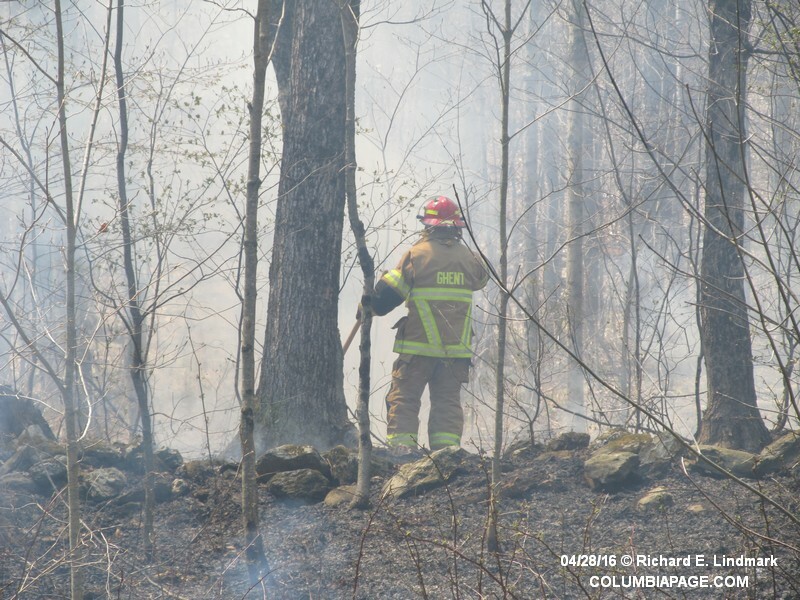 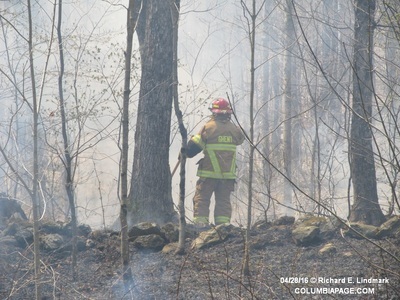 Command also reported approximately one acre of brush burned. Firefighters were back in service at 2:22pm.